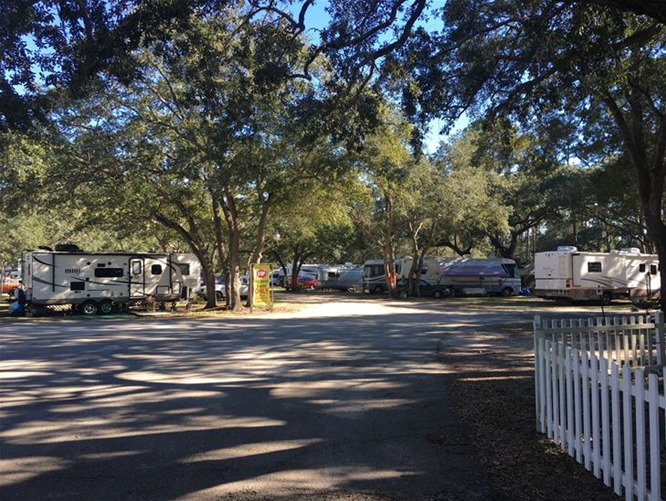 We hope you find the time to visit Panacea RV Park & Camping Grounds. We're a quiet park in the town of Panacea, Florida. Just three blocks from the Gulf of Mexico. Panacea is a laid back fishing village nestled between Apalachicola National Forest and Dickerson Bay. Soon the young retirees, 55 and over will come to know this area well. Don't forget to pack your kayak, canoe or boat. With a variety of Eco tourist offerings to choose from. Inshore and offshore fishing for redfish, trout, snapper, grouper and shell fishing when in season. Wakulla County has many large and small waterways for canoeing. Wakulla Springs, St Marks Rivers along with Spring Creek will keep you busy for days. We're sure you'll be happy kicking back with us. If you have any comments or questions, please feel free to contact us. 850-984-5883. Scenic waterfront park on Ochlockonee Bay at gulf. Shaded full hookups, pull thrus, 30 and 50 amp, free cable, pool, fishing pier, pavillion, hot showers, laundry, WIFI throughout park, LP gas, sunsets over bay. 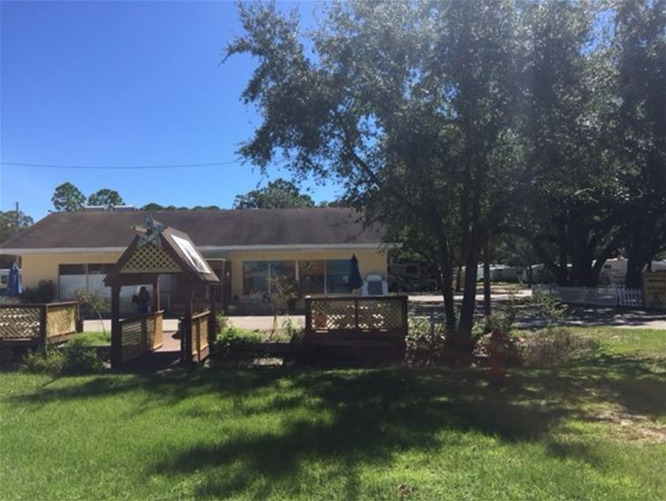 Near beaches, wildlife refuge, Wakulla Springs, 18-hole golf course, seafood restaurants, markets and boat ramps. Picturesque, clean and friendly. "Our campers rate us a 10." Watch dolphins play from your RV, parked directly on the beach. All sites within 250' of the Gulf. Fish from our 250' pier, go shelling, bird watching or walk your dog on the beach in a quiet setting on “Florida’s Forgotten Coast”. We cater to adults/seniors (no children). Daily, weekly, and monthly rates. Big Rig and pet friendly. Free Wi-Fi and cable TV. Propane sales. Carrabelle Beach RV Resort is far from your typical RV resort, park or campground. We are recreating outdoor recreation and relaxation. See why Carrabelle Beach is a better value and start redefining your vacation experience. Enjoy life on the beach on the Forgotten Coast with beach access across the road from the unspoiled white sandy beach. Dolphin watch, swim, fish, relax, even walk your pets. West of Tallahassee and 6 miles from FSU. Just off US 90 W.
Located on beautiful Lake Talquin where bass, bream, crappie and catfish are plentiful. The marina offers cabins, full hookup RV sites, groceries, tackle, laundry, fuel, boat ramp, fishing pier, covered boat slips and wireless Internet. Soak up the sun and feel the breeze from our full hook-up sites over looking the Gulf. Free Wi-Fi/cable, pool, state-of-the-art facilities and more. If you are looking for a more authentic camping experience check out our sister site, Coastline Campground which is located on Highway 98, just 800 ft. west of our beautiful resort. We now offer our Seaside Suite for guests without an RV! A country setting convenient to Tallahassees dining and entertainment, ten minutes from the state Capitol and major colleges. Well-lighted paved roads are offered along with long pull-thru sites and full hookups. Enjoy the sparkling swimming pool, cable TV, large rec hall, Wi-Fi, laundry, and flowering plants year round. Leashed pets welcome. Please call for breed restrictions. Family owned and operated, well maintained, landscaped RV park in rural setting with shady, pull-thru sites. Any size, big RVs w/slides welcome. Full hookups, 30/50 amp, clean facilities, hot showers, pool, pets on leash. A nice place to stay. Reservations accepted, open year round. Good Sam, AAA, FMCA. Located on the beautiful Gulf. Offering full hookups, 20/30/50 amp service, boat ramp, docks and bathhouse. Enjoy fishing, scalloping, hunting, bird watching and spectacular sunsets. Short walk to the marina and 700’ public fishing pier. Small beach, restaurant and grocery store/deli 5 miles away. Peaceful atmosphere. Passport America discounts. Presnell’s RV Resort & Bayside Marina is the destination RV park of northwest Florida with easy access to fishing, snorkeling, beaches, boat-kayak-paddle board rentals, fishing guides, long term RV/boat storage and more. W/E/S, Cabin & Cottage rentals, Boat Dock & Launch, Store, LP, Campfires, Pool, Laundry, Recreational areas, Pet friendly. 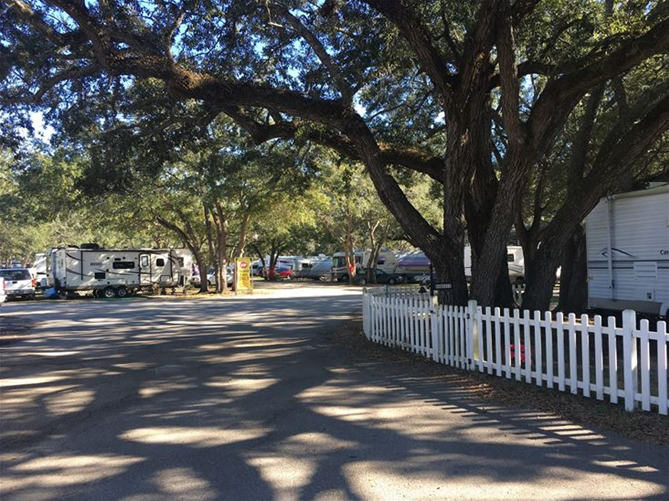 Experience our quaint village-like RV Park just a few yards from the Ocean’s edge. Visit Mexico Beach, magnificent Sunsets, white sugar sand, Tiki Huts with grills, and a swimming pool that overlooks the beach while you enjoy the convenience of a full service park. Water, sewer, electric, Wi-Fi, TV, clean bath house and a laundry room.